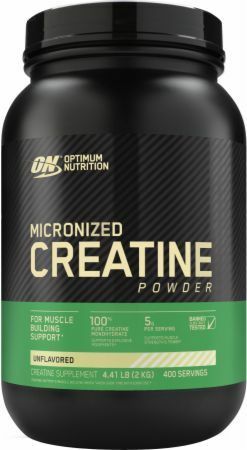 Each serving of Optimum Nutrition Micronized Creatine Powder supplies a full 5 grams of 99.9% pure CreaPure brand Creatine Monohydrate. The patented production method used to produce this Creatine yields a tasteless, odorless powder that mixes easily into water or juice and does not readily settle to the bottom. As a result, the gritty taste or texture you may have experienced with other Creatine powders is not associated with this product. Because it's unflavored, you can stack ON's creatine powder with protein shakes, gainer formulas and other sports nutrition powders.